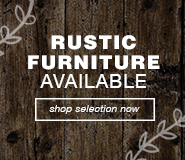 Amite City Furniture & Mattress is family owned and operated. We first opened our doors in 2003 and we changed the way people bought furniture forever. Ronnie and Alta Sistrunk owners of Amite Furniture first started out in Albany with a small store in 1999 carrying only a few brands of furniture and mattresses. They made everyone feel at home in this small town. Then in July of 2003 that had the opportunity to expand, and that's just what they did. They bought a 25,000 square foot warehouse and the renovactions began. 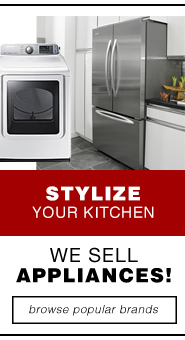 They started carrying more brands of furniture, appliances, and televisions. Ronnie & Alta's goal was to help evceryone achieve their dream of having a unique & stylish home. So whether you're furnishing an entire room or simply adding an accent piece for visal flair we at Amite Furniture has something to suit every room, every taste, and every budget. We offer in house financing from two different companies with approved credit and we have our Acceptance Now program where everyone is approved for up to $3000.00, we're here to help you get what you need. Our knowledgeable staff has the experience and are passionate about serving you with the highest standards of excellence. We at Amite Furniture have a friendly and polite delivery team that will bring your new furniture to your home and will set it up just the way you like. In addition, to your home furnishings we also sell Portable Buildings and Carports to take care of your outdoor needs. Your home is your haven and a reflection of your life-your memorable experience for family and friends-and the place you most cherish. So our promise to you-and one we've kept for over 15 years to our customers-is to provide the ultimate shopping experience from our first meeting through years of cherished use in your home. To those who haven't been to Amite City Furniture & Mattress we would like to personally invite you to stop by and take a look around, we feel that if you give us the chance you'll appreciate our service and will find exactly what you are looking for or we will make sure you do. We at Amite Furniture would like to thank all our loyal customers who have supported us over the years. They are the ones who keep us in business "furnishing their homes". The Sistrunk Family and staff at Amite Furniture supports the community by being involved in the Chamber of Commerce with Ronnie Sistrunk being the 2014 President.